The heat made us do it. Yes, we finally got an ice cream maker! We have the classic Cuisinart ICE-20 and are having a blast experimenting with fun flavors. So far we’ve made Cafe Sua Da (Vietnanamese Iced Coffee), grapefruit, hibiscus, and the object our affection and of this post, mint chip. 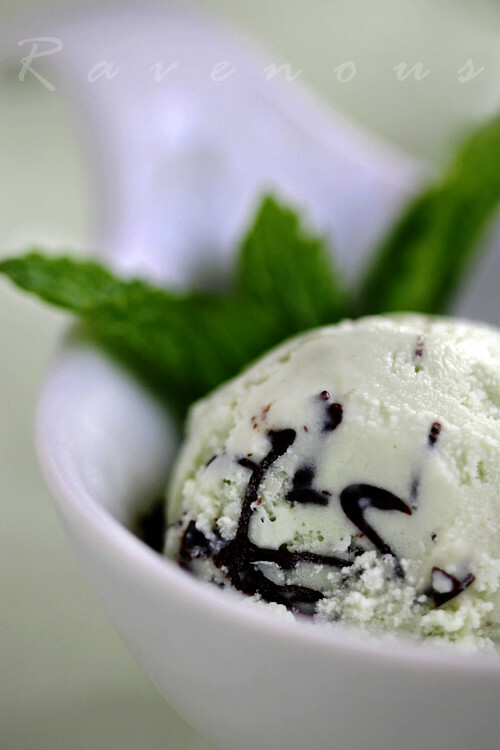 Mint chip is such a classic ice cream flavor and mint is such a vital herb in Vietnamese cooking, we wanted to find the best method to highlight these ingredients. 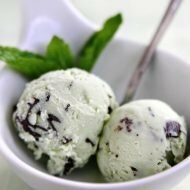 David Lebovitz has a fantastic recipe for mint chip ice cream but we prefer the flavor of gelatos and decided to adapt his corn starch based Sicilian style egg-less gelato recipe to make our mint chip gelato. Why do such a thing? David Lebovitz states it best: “not using eggs means the flavor’s focused squarely on the pistachio with nothing to distract from those perfect scoops of it. Except your spoon.” We wanted the flavor to squarely focused on mint chip and, oh boy, it sure did! A video tutorial on ice cream using cornstarch by Mark Bittman, gave us all the confidence we needed to try this recipe. We love the way to make these “chips” Drizzled, frenetic, and each chip unique. Make a slurry with about 3-4 tbs of milk and corn starch in a bowl and set aside. Add the remainder of the milk to a sauce pan, mint, salt, and sugar under medium low heat. When mixture starts to bubble, turn off heat and allow mint to steep for about 1 hour. Then pour mixture over a sieve and squeeze out the fluid from mint and discard. Reheat his mixture under medium low heat. When it begins to bubble, add your mixed slurry and stir making sure there are no clumps. Continue to heat until it thickens..when you can run a line on a back of a spoon without the mixture coming together it should be done. Cool completely (preferably over night) and then add to your ice cream maker, follow it's directions. Place the container that you plan on storing the ice cream in the freezer. The mint flavor is nothing like the store bought mint chips which are probably made mostly of flavor extract. The flavor is deliciously herbacious, organic, and mint just bursts through. We love David Lebovitz’s method of using the melted chocolate. Not only does it make for an interesting pattern to the ice cream, the texture of the instantly frozen chips of dark chocolate is fantastic. Thanks to both David Lebovitz and Mark Bittman for this delicious inspiration! My gosh, you guys. Does this look good or does this look good? And all fresh mint leaves! Can't get better than this! You've inspired me to pull out my ice cream machine and use it. This gelato looks refreshing and delicious! Beautiful! This is one of my favorite flavors but I haven't tried it on my ice cream maker yet. Isn't it addictive? glad you like the mint chocolate flavors together as much as I do! Ju: No it doesn't..planning on making another batch today! Cristina: this eggless method is so easy, definitely dust of your ice cream maker and give it a whirl! Jean: yes, very!! but it's a joy to make your own home made ice cream so do give it a try! David: Wow, thanks for taking time from your sweet life in Paris to pay our blog a visit! We're so new so we'll have to get your book! 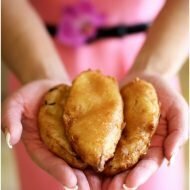 This looks so delicious; great job with the photos! I don't own an ice cream maker but am tempted to try the freezer method just to get a taste of this. xialu: there are methods to make ice cream without a ice cream maker called semi freddo..you can do make it with a mixer. 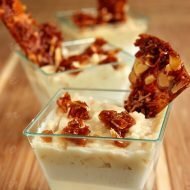 See our durian semifreddo recipe. I love how making your own ice cream yields to the knowledge of only wholesome ingredients. David Lebovitz was working some ice cream magic in both our kitchens this weekend! Yours looks great too! So refreshing on a hot day! Lebovitz orange sorbet. It may sound slightly ho-hum but somehow it explodes with flavor more so than just eating an orange. I add the zest of an orange being the only change to the recipe. Enjoy! I'm glad to have found your site. I just, oddly enough, purchased a 2 quart cuisinart ice cream maker and a mint plant…I can't wait to try this. Thanks for the inspiration. Great job on the Mint Chip Gelato! My only suggestion is to let you readers know to use Peppermint and not spearmint. I found that spearmint doesn't pack the crisp clean minty flavor that we are use to eating. thanks for bringing this to the luau party! it was a big hit. we need to make some ice cream this summer too! Wow this looks and sounds delicious! I love mint. I think my girlfriend Katie and I will have to tackle this recipe ourselves. bao: Thanks for making that clarification! Wow! I made it and it was wonderful. I used half 2% and half 1/2 & 1/2 and I used spearmint because that is what I had on hand. It is wonderful. Thanks for sharing this great recipe. Wonderful. 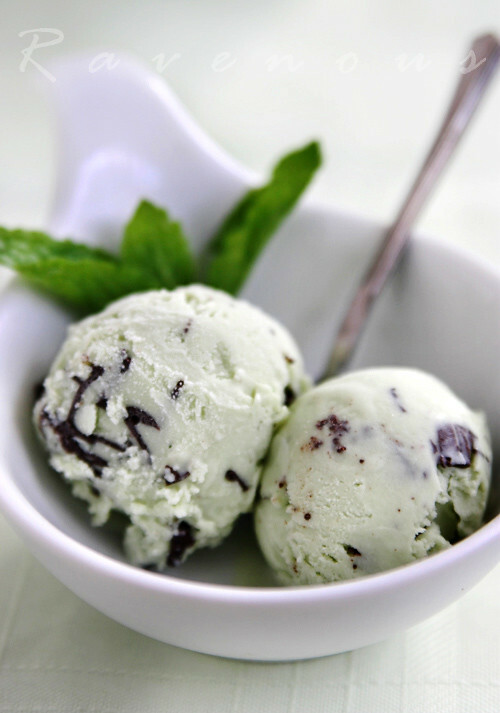 Mint chocolate chip ice cream was my favorite as a kid, and still is. And I've been thinking about gelatos lately, not really knowing the difference. I love your explanation, must try this! Kelly: so glad you enjoyed making this!! 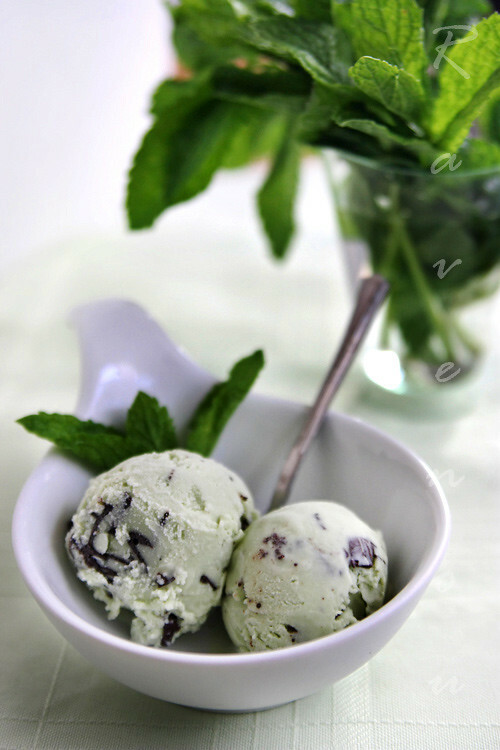 Man, this really makes me want to try making mint ice cream. I love the beautiful designs that the chocolate makes in the ice cream. Thanks so much for sharing! Awesome recipe. Just finished my first batch and will definitely make this one again. Next time I'm planning to double the recipe. This batch barely filled half my ice cream maker (ICE 21). I made this today, the mint gelato works perfect, but the chocolate chip, not so good. 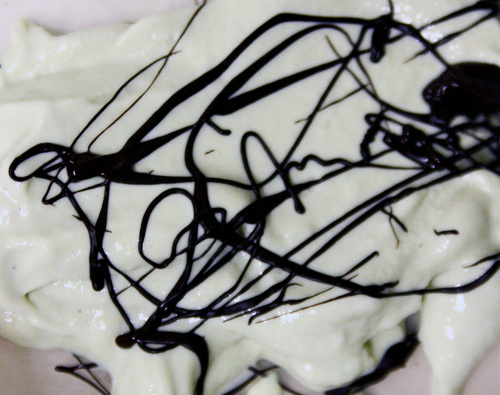 It didn’t “break” the way it should, but stick together into confusing strips of chocolate, and then “stain” the light green mint gelato with its brown color. Tastes ok still, but doesn’t look so pure and fresh. sorry to hear, that..did you drizzle it on and freeze first? This recipe is EVERYTHING I believe in about ice cream! Flavorful, not too fatty, high-quality ingredients — THANK YOU! Am definitely trying this! Making this for the 3rd time tonight. I like to overdo it on the mint infusion (incredible taste and freshness). This is my favorite ice cream and my most successful homemade ice cream. I haven’t perfected the chocolate drizzle – could be prettier but it tastes magnificent. I think this would also work with soy milk, but, do you think that then it might need more cornstarch, maybe because soy milk has less fat than regular milk? Nevermind!! I just found out what my problem was: The hotter the milk is, the thicker it will get with the cornstarch without needing more than a few tablespoons. 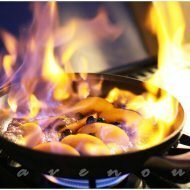 As I said before, thank you anyway, this recipe is great !